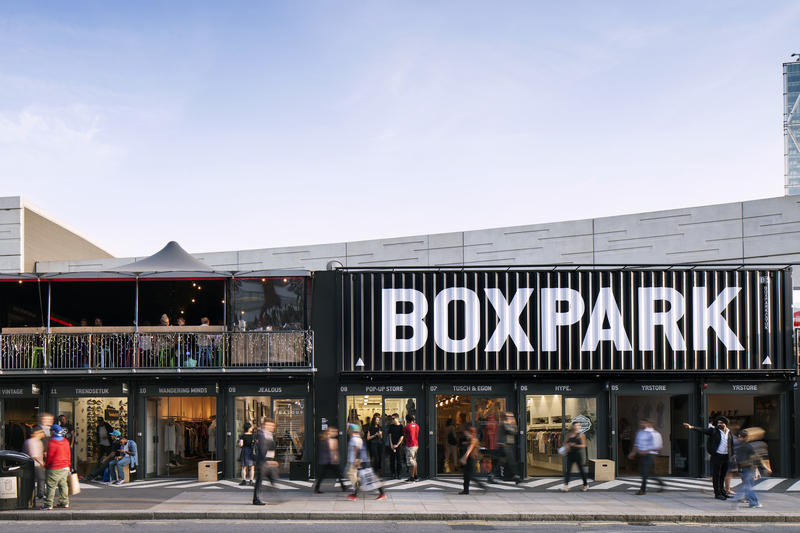 BOXPARK is proud to support Independent Retailer Month by encouraging consumers to shop at the independent pop-ups within BOXPARK and by offering independent brands a platform to trade in-store and online with very little set-up costs. BOXPARK has recently launched a revolutionary new concept, BOXPARK MARKET PLACE – allowing consumers to buy or share online, in-store or on your mobile. The BOXPARK App is a revolutionary new app for independent retailers, allowing their customers to buy and share in-store, online or mobile, including a Scan to Shop feature that allows you to share your favourite products. Each month BOXPARK also offers a variety of cultural events and activities, free and open to the public. July is no different, with #WORLDCUP screenings, live acoustic music from #BUSKTHEBOX, sponsored by EE, and the #FIRSTTHURSDAYS art exhibition launch. These events are an integral part of attracting footfall and encouraging surrounding communities and tourists to support the Independent Retailers, as well as another way of showing support for independent artists and creatives. To show your support for Independent Retailer Month, visit www.boxpark.co.uk for a list of retailers and events and to shop online at BOXPARK MARKET PLACE. For more information about Independent Retailer Month, contact Caroline Cook at Wordsmith Copywriting: 01529 298729/07849 079063 or caroline.cook@wordsmithcopywriting.co.uk.